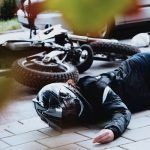 Sacramento Common Motorcycle Accidents – There are different types of common motorcycle accidents, and being aware of what they are is one way to avoid them. Although motorists are urged to watch out for motorcycles on the road, motorcyclists carry the burden of staying safe when they are out and about riding their bike. 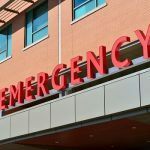 Let’s take a look at some of Sacramento’s most common motorcycle accidents, and explore ways to avoid them. Forty-two percent of all motorcycle accidents occur when a motor vehicle makes a left turn across a motorcyclist’s path. This usually happens when the motorcycle is in the passing lane or traveling in an intersection. It is devastating for a motorcyclist and can result in serious injuries. Motorcyclists can stay safe from this specific type of common motorcycle accident by maintaining a sense of anticipation of what other drivers might do. For instance, look to see if the motor vehicle has its turn signal engaged, particularly at or near an intersection. If possible, watch if the driver is looking at traffic to see if the area is clear to make a turn or if there is a larger than usual space between vehicles. If there is a gap in front of your bike and you notice that a driver might be making a turn, you can slow down and move out of the lane you are in. If you cannot make eye contact with the hopes of being seen by the motor vehicle driver, check to see which way the tires are pointed since this will give you a better idea of where to go to avoid an accident. Head-on collisions are responsible for 78 percent of all motorcycle injuries and deaths that involve another vehicle. Since a head-on collision guarantees that a biker will be thrown into the air only to land on the road or crushed, death is a common outcome of such crashes. A biker needs to instantaneously know what to do when a head-on collision is imminent. If your position on the road allows this, move toward a lane to the right. If the road has two lanes, then move toward the outer area of the lane. Start to slow down once there, and take your bike off the road if possible. One scenario that is well-known to bikers is when a car decides to move into a lane they are traveling in. While it might seem that no warning was given, there are hints that this maneuver is about to happen. Most times, the vehicle’s signal lights will be activated, and the tires will rotate toward the desired direction the car is aiming for. The motorist might even check their side mirrors or manually turn and look to see if any other vehicle is in their path. However, many motorists do not expect or look for a motorcycle. Being observant of such clues might provide a motorcyclist with time to slow down, and get out of the way to avoid these common motorcycle accidents. Motorcyclists have to be careful when they approach a corner. If there is gravel or leaves or another similar substance, a motorcycle may lose traction, and regaining control may be difficult and in some instances almost impossible. 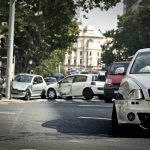 Wiping out in an intersection can come with an even greater potential for harm since other vehicles may be unable to stop in time to avoid a downed motorcyclist. To avert this problem, motorcyclists need to take corners at a speed they know their bike can handle. Instructors advise bikers to enter a corner wide and slow. Watch YouTube Video: 5 Most Common Motorcycle Accident Injuries and How to Prevent Them. This video lists the top five motorcycle accidents and what you can do to prevent making these mistakes. I’m Ed Smith, a Sacramento motorcycle accident attorney. If you have been hurt in a motorcycle accident, call me at (916) 921-6400 in Sacramento and (800) 404-5400 outside the area code for free and friendly advice. You can reach me online too. 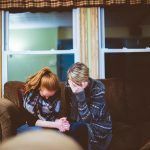 I’ve helped many residents of Sacramento and the Northern California area with serious injuries and wrongful death claims as well as all types of car accidents. I am a long-term member of the Million Dollar Forum, a group of trial attorneys from around the country who have won more than $1 million for a client. 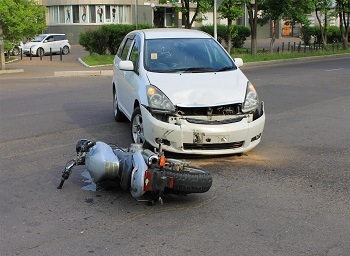 Photo Attribution: Depositphotos_26479845_l-2015 / Sacramento Common Motorcycle Accidents.